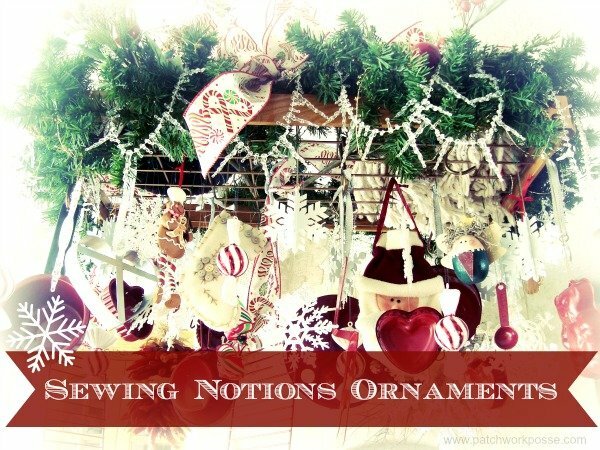 Today is a surprise– Christmas in July!!! 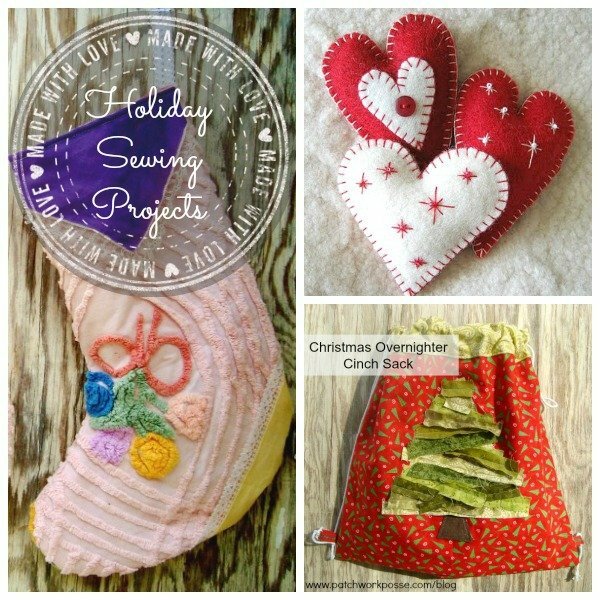 I am teaming up with a few awesome others to bring you some fantastic easy, quick, and super cute ornaments! For my ornament, I thought I would use a previous felt ornament template….but with a new twist. 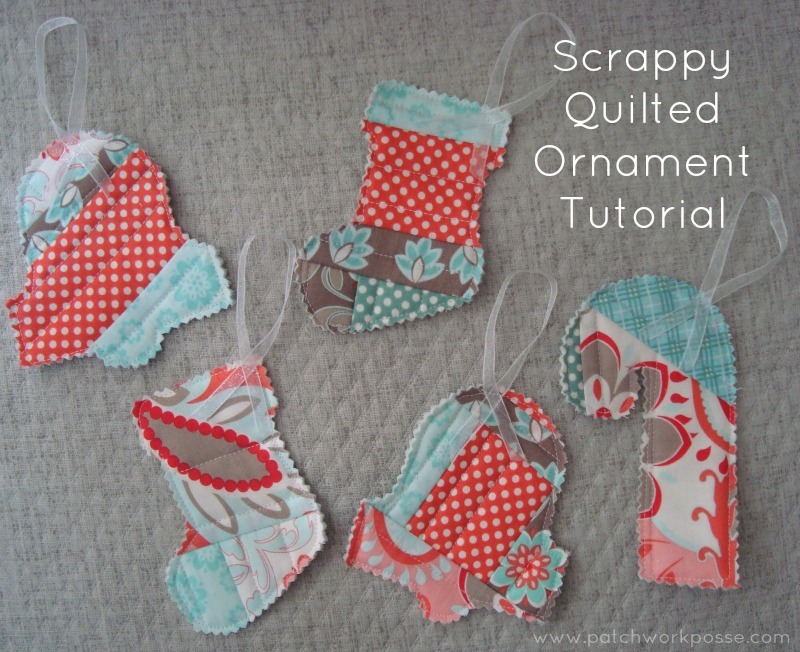 Using the quilt as you go technique, you can sew these up with all your tiny little fabric scrap bits. No piece is too small for this. 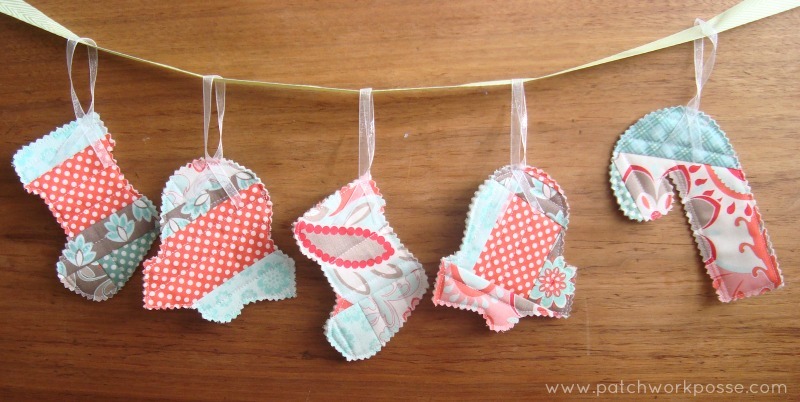 In fact, the ornaments will look scrappier if you use smaller pieces! 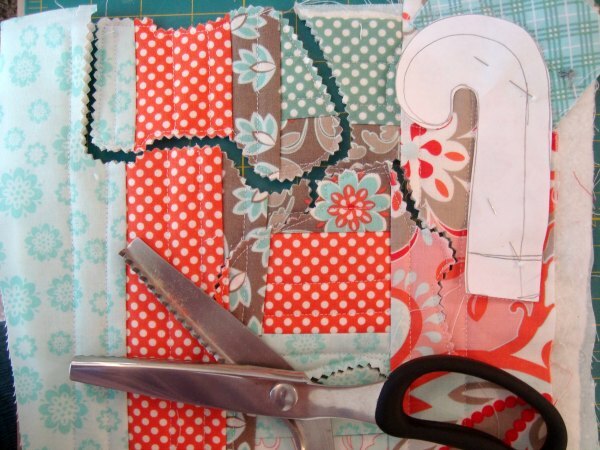 Felt Templates– Download Get the password for the library including this free pattern! 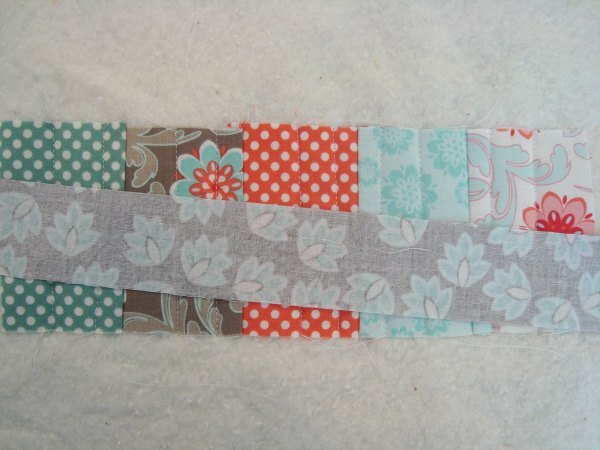 5) Flip the fabric and iron- You can do some quilting right now if you’d like. 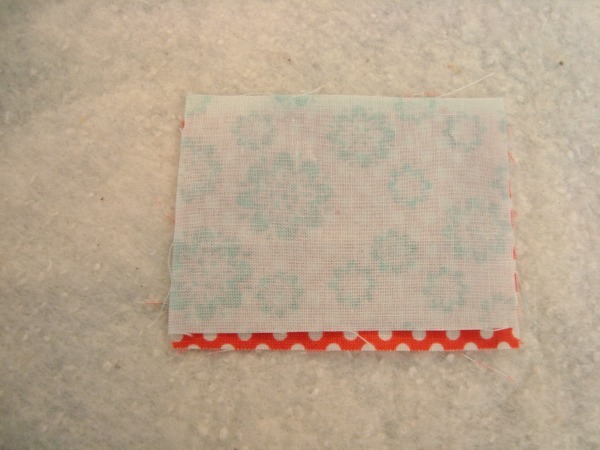 I did 1/4″ from the seam and again in the center of the strip. 6) Repeat this process until your the whole piece is covered. 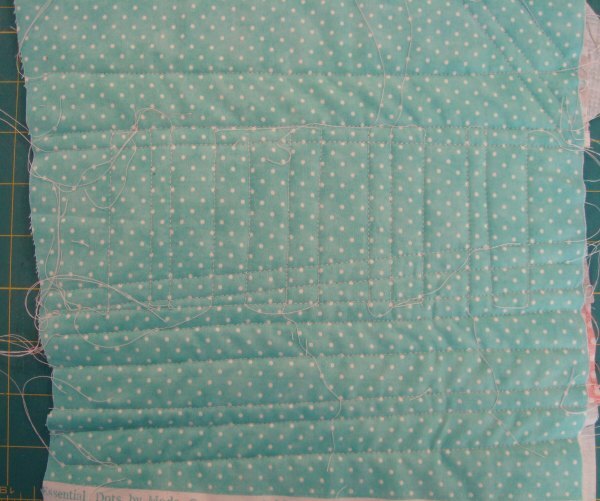 If you need more instructions on the quilt as you go techniuque head on over here. 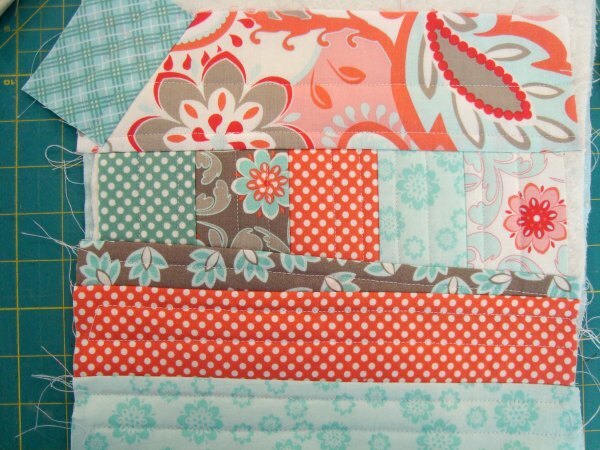 Quilt as you go Tutorial. 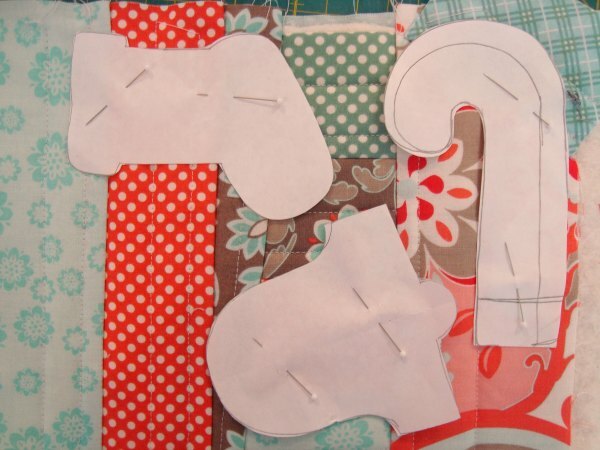 8) Pin template on top of the fabric– my piece of fabric was large enough to cut out two of each shape. 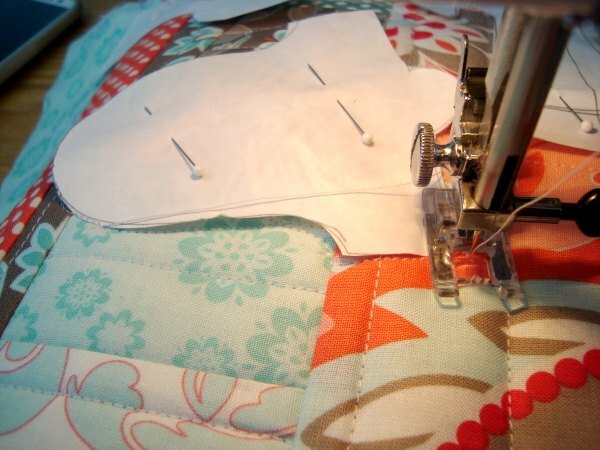 9) Sew around the template. 11) Cut a ribbon 8″. 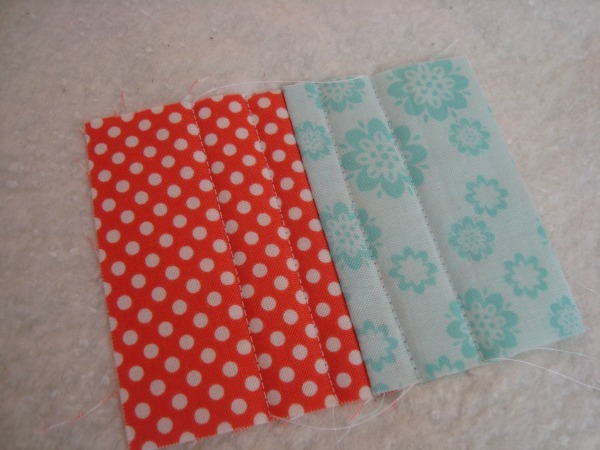 Fold in half and cross the ends- sew to the front of the shape. 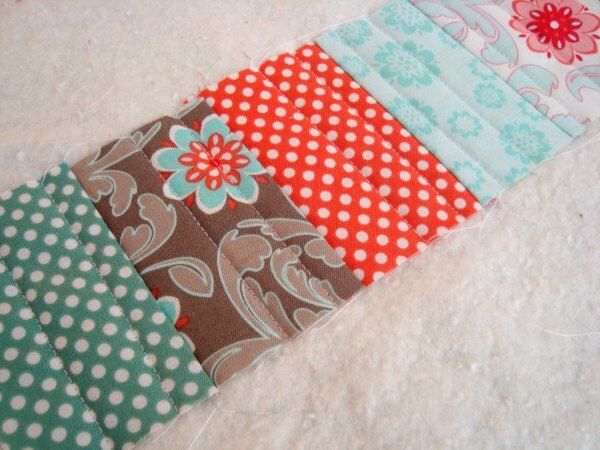 Let’s Talk About Quilting Fabric- How much is Too Much?